Ben Freeman's '02 Dodge Intreped sits in the center median on US-59 in Seven Oaks. 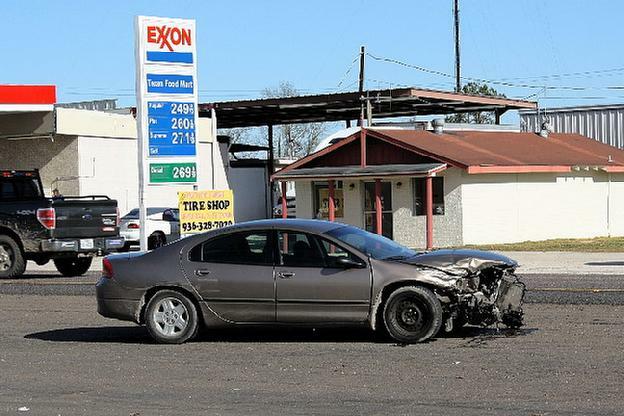 Driver Fails to Yield, Causes Three Vehicle Accident, SEVEN OAKS, December 28, 2009 - Shortly before 2 pm on December 28, 2009, a brown, 2002 Dodge Intreped driven by Ben Freeman, 58, of Corrigan attempted to pull out of an Exxon station on US-59 and failed to yield right-of-way to a Gray, 2009 Dodge Charger driven by Takashiva Alexander, 30, of Rosenberg. 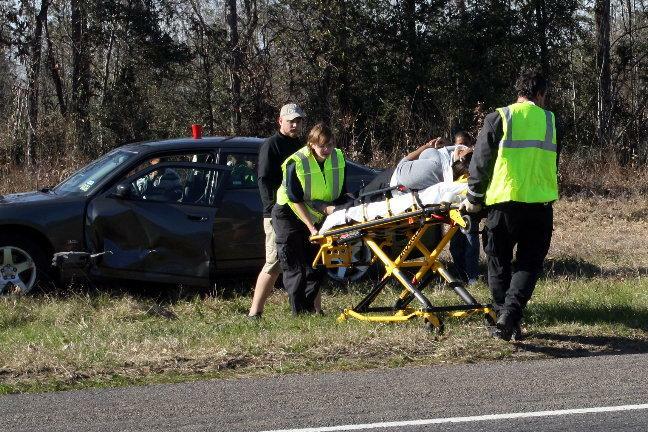 According to DPS Trooper Darwon Evans, Alexander attempted to avoid Freeman as Freeman pulled into the south-bound lanes of 59, but a collision occurred when Freeman's vehicle collided with Alexander's front driver's side, followed by another vehicle (a tan Chevy truck) driven by Albert J. Triana, 78, of Houston, that clipped Freeman's front passenger's side. Takashiva Alexander's Charger left the road to the right and ended up in the grass facing south, Albert Triana's Chevy Truck pulled over to the shoulder of the south-bound lanes, and Ben Freeman's Intrepid ended up in the median that separates the north and south bound lanes of traffic. 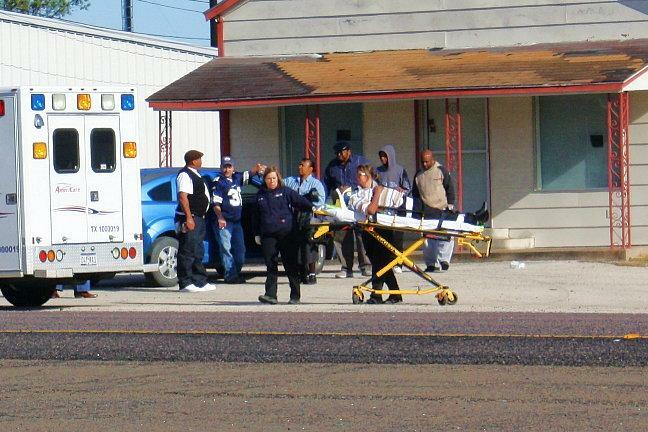 Americare Ambulance Service was dispatched to the scene along with Deputy Brent Foster and DPS Troopers Darwon Evans and David Flowers. Both Takashiva Alexander and Ben Freeman were transported to Livingston Memorial Hospital with undisclosed injuries. Traffic was not blocked during investigation and cleanup. 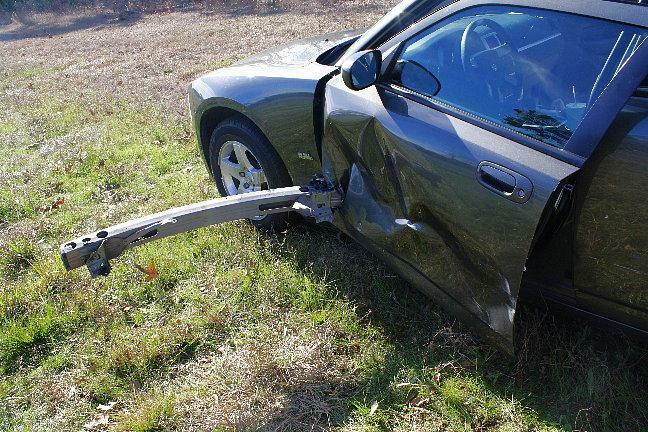 Freeman was issued citations for: Failure to yield right-of-way from a private drive, no insurance, and driving with an invalid license. All three vehicles were towed by Riley Wrecker Service out of Corrigan. The scene was cleared by 3:30 pm. 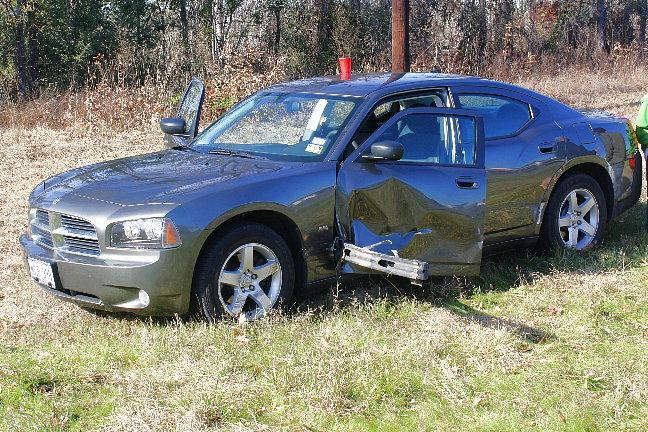 Takashiva Alexander's once gorgeous 2009 Dodge Charger rests in the grass with Freeman's front bumper sticking out of its side. 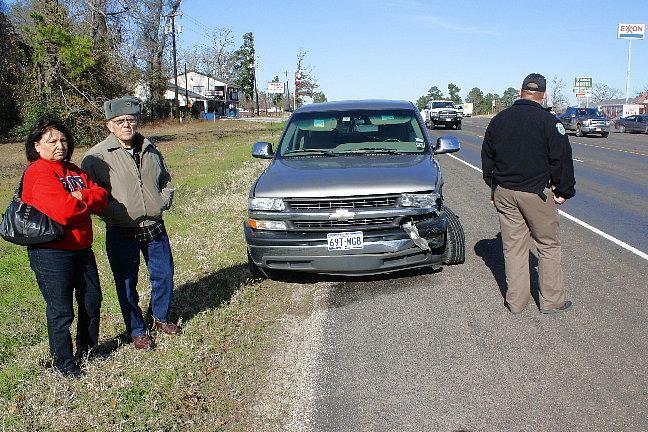 Albert Triana of Houston stands by his wife and his immobilized Chevy truck.